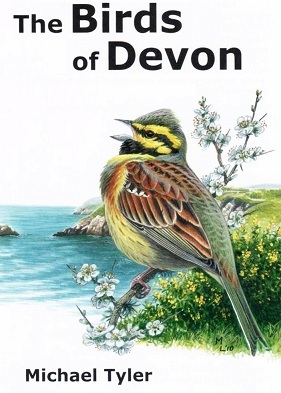 The Birds of Devon, published by DBWPS in November 2010, is the culmination of 3 years research by the author, Michael Tyler, with input from many birders around the county. Covering all 423 species recorded in Devon, the book is liberally illustrated with photographs and line drawings throughout. Such books are normally only published once in a generation, but it the last issue was in 1969, and so this book is very timely. The book is expected to be a source of reference for many years to come, and is considered a must for all those interested in the avifauna of Devon. Hardback, 750 pages, 200 colour photos, illustrations, tables.